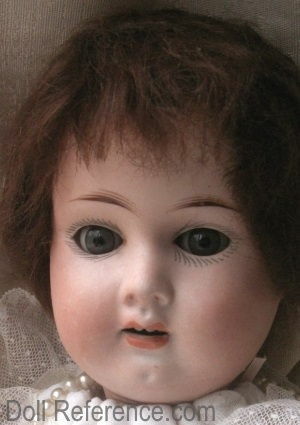 Porzellanfabrik Rauenstein antique bisque head doll, 16"
The Rauenstein Porcelain factory was founded by Friedrich Christian Greiner (the Greiner family of Lauscha) in Rauenstein, Thϋringia, Germany in 1783, for making pottery and other household items. 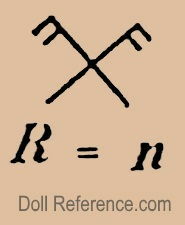 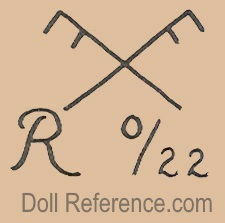 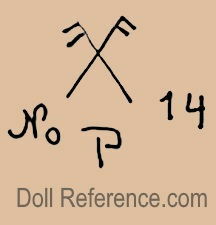 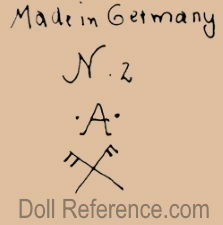 The earliest dolls made were nanking China head dolls which maybe marked with the Rauenstein R, (the R marking is also used by other doll makers) or the doll mold 114. 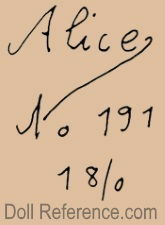 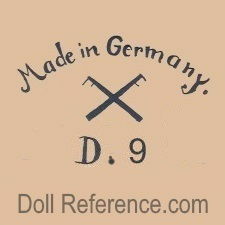 After several changes of ownership, in 1892 the burnt factory of Hugo Michaelis was purchased, rebuilt and bisque head dolls, figurines and knick-knack making began, the two factories by this time employed 260 workers. 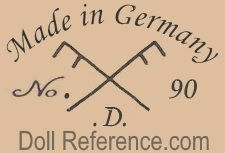 In 1918 they purchased a third factory, that of Amandus Michaelis and now employed 500 workers. 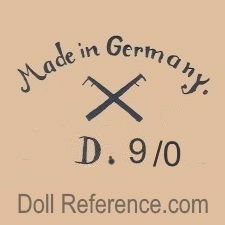 Two named Rauenstein dolls are Alice, a shoulder head doll with a jointed kid leather body, doll mold 191 and Dora in 1892+. 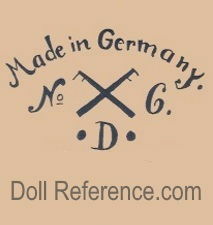 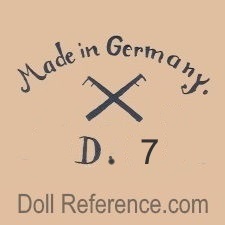 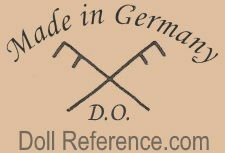 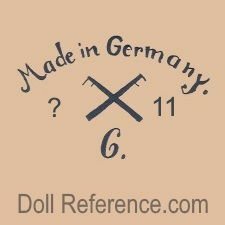 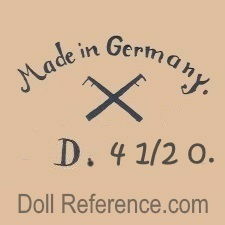 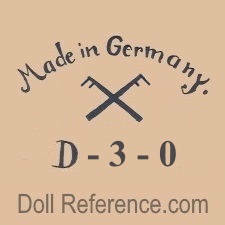 In 1895 Rauenstein registered their doll trade mark of two crossed flags, which usually includes the letters of A, C, D, N, No, P or R.
Made in Germany two crossed flags D. 4 1/2 O.
Rauenstein doll mark Made in Germany two crossed flags D. 4 1/2 0. 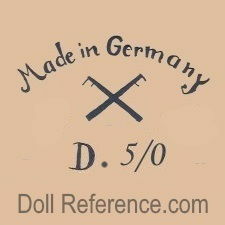 Rauenstein doll mark Made in Germany two crossed flags D. O.